Rep. Peter DeFazio (D-Ore.) stated that “every penny of the $825 billion is borrowed against the future of our kids and grandkids, and so the question is: What benefit are we providing them?…It’s the difference between real investment that will serve the nation for 30, 50 years and tax cuts, and that’s a very poor tradeoff.” Rep. John Mica (R-Fla.) said that the money proposed for infrastructure is “almost miniscule” and expressed regret that Obama was not proposing a transformative project such as building high-speed rail in 11 corridors around the nation (which Mica says would cost $165 billion). Frankly, I am deeply disappointed. Obama has perhaps more political capital than he will ever have in his term as president, and might have the most political capital of any president in recent history (or in the future). Given the fact that America has no “Plan B” in transportation to face the inevitable, exponential increase in gasoline prices, it is a breath-taking squandering of a once-in-a-generation opportunity to transform America’s transportation system towards one that is sustainable (not to mention the fact that a healthy rail system powerfully supports healthy city agglomeration and strongly discourages costly sprawl). I urge the Senate and the Obama administration to delay approval of this historic bill until it contains a visionary, long-term, sustainable, transformative plan. Creating high-speed rail, as Mica points out, is a fantastic way to start on that desperately needed path. I would also add to Mica’s vision. Some of our stimulus billions should be dedicated to restoring our roads and highways to sustainability. Countless numbers of them need to be transformed into “Complete Streets” through “road diets” (removal of travel lanes) and other traffic taming, livable tactics for road and highway modification. American may never have this chance again. How does a community create “walkable” streets? Streets that feels safe for all— particularly for seniors and children? Streets that are sociable due to large numbers of pedestrian users? Streets that are richly interesting? Streets that provide comfort? Streets that breed a strong sense of civic pride? There are a number of essential ingredients that a community can (and sometimes must) use to craft and sustain a walkable street. Convivial Concentration of Pedestrians. First and foremost, a walkable street must contain relatively large numbers of (preferably friendly) pedestrians. This obvious ingredient would go without saying, except for the fact that there are many who believe that various physical street design features are sufficient to create walkability. Actually, even the best-designed streets are not truly walkable if few walk them. On the other hand, even a poorly-designed street (in the physical sense) can be memorably walkable if it contains large numbers of pedestrians. Very little is more attractive and enjoyable to most humans—an inherently sociable species—than a vibrant, festive place filled with happy, friendly people. This partly explains the overwhelming popularity of street festivals and public markets that are well known in their ability to create and sustain such gatherings. Residential Densities. In order for a street to draw large numbers of pedestrians, large concentrations of people must either live within walking distance of the street, or the street needs to be a connecting conduit between two (or more) highly attractive destinations—destinations that are no more than, say, 3 to 5 blocks from each other. For example, a major university campus linked by a Main Street to a healthy downtown. Human-Scaled Dimensions. People tend to feel most comfortable and safe when they are in “human-scaled” spaces. That is, spaces that do not dwarf them, make them feel insignificant, or over-exposed. Crucially, this means that horizontal and vertical dimensions of the surrounding physical elements of a street are relatively modest in size. In general, this means that streets are no more than two or three lanes wide. In the more urban areas of a town, buildings are pulled up to and abutting street-side sidewalks, and front porches are within “conversational distance” of sidewalks. Surface parking lots are tucked behind buildings and walls. Street lights are no more than about 20 feet tall (modest street light structures effectively establish a romantic ambience). The urban fabric is un-interrupted by gap-tooth parking lots. Instead, a continuous street wall is maintained. Buildings tend to be no greater than five stories, such as is found in Paris. Note, however, that buildings along a walkable street should generally be at least two stories in height in order to more effectively create the pleasing sense of enclosure. And to increase opportunities along the street for vertical mixed use buildings in which a first floor is occupied by an office or store, and above stories are occupied by a residence. Active and Diverse Retail. An essential ingredient for a street to be walkable in the more urban area of a town is for the street to be lined with a rich collection of healthy, diverse, local retail establishments. Such an assemblage of enterprises ensures people that strolling down such a street will nearly always reward one with a fascinating cornucopia of sights, smells, sounds and potentially satisfying purchases—no matter how often the street is walked. Traffic-Calming. For retail establishments and residences along a street to be healthy, and for pedestrians to feel comfortable, a walkable street nearly always must contain relatively low-speed motor vehicle travel. The most important way to provide such modest, comfortable speeds is to provide ample on-street parking, which not only slows cars but creates an extremely healthy, safe buffer between the pedestrian and moving motor vehicles. To calm motor vehicle speeds, it is also important that the street be no more than two or three lanes (ideally two travel lanes with “turn pockets”). Travel lanes should be no more than 10 or 11 feet wide. A prominent canopy of street trees and buildings pulled up to the sidewalk also create a moderating influence on motor vehicle speeds. A common mistake is to assume that the ideal form of traffic calming or creation of a walkable street is to create a “pedestrian mall,” a pedestrian-only street where motor vehicles are prohibited. However, such malls have nearly always failed in America. The lack of sufficient, nearby residential densities and the cultural dis-inclination to walk or bicycle means that the well-intentioned effort to establish such car-free areas typically (but not always) creates a “ghost-town” atmosphere in which there is so little pedestrian activity that the mall seems abandoned and vacant. Often, such malls end up being so little used that retail along the mall quickly dies from lack of patrons, and many cities that established car-free areas have converted them back to once again allow car travel. The key is not to ban car travel on a street intended to be walkable, but to design the street in such a way as to obligate motorists to drive slowly and attentively. 24-Hour Activity. A walkable street must be alive day and night, instead of closing down at 5 pm. 24-hour streets tend to be not only more interesting and fun, but also much safer due to the benefits of “citizen surveillance” and “eyes on the street.” Again, 24-hour activity is promoted by the development of relatively high residential densities within the walkable catchment area of the street. Residences provide after-hours pedestrian activity as residents will walk to stores, services, culture, parks, and the homes of friends and family throughout the day and night. Studies by the nation’s leading investment indicator firms have shown over and over again that “24-hour” cities harbor the most healthy, profitable investment opportunities. Businesses and residences tend to thrive in such cities, which are seen as hip, cutting edge, exciting (yet safe) places to be for what Richard Florida calls the “Creative Class.” Some cities find it useful to control and restrict the percentage of buildings along a street intended to be walkable by limiting the number of offices along the street, since offices tend to be closed (and therefore deadening) after 5 pm. Narrow Lots. An important way to create a lively, exciting and interesting street life is to establish relatively narrow property widths along the sidewalk. Doing so increases the frequency of doors that enliven the street, as well as windows and other elements essential to an enjoyable pedestrian experience. Weather Protection. For comfort in hot climates or rainy climates, it is important on more urban sidewalks to provide awnings or colonnades on the front facades of buildings along the sidewalk. Another extremely important element is a canopy of tall, formally-aligned, same-species street trees overhanging the street and sidewalk (and limbed up so as not to obscure the view of retail building facades). Wide Sidewalks. It goes without saying that a walkable street should provide sufficiently wide sidewalks. In general, such sidewalks should range from 8 to 20 feet in width, depending on the pedestrian volumes expected. Note that there is too much of a good thing when it comes to sidewalks. Overly wide sidewalks can be just as undesirable as sidewalks that are too narrow, because wide sidewalks that carry only a handful of pedestrians creates the undesirable sense that the area is not very active or alive, whereas a narrower sidewalk with the same modest number of pedestrians can seem “bustling with life.” Therefore, it is important that sidewalks use a width that corresponds to expected pedestrian use along the street-striking a balance between pedestrian comfort and the need to create a lively ambience even when there are not enormous numbers of pedestrians. Unobtrusive Equipment. Trash dumpsters near (or on) sidewalks tend to create an unsightly and often smelly character for the sidewalk, and send the message that the sidewalks and public realm are disregarded—and that pedestrians are therefore not respected. For these reasons, a walkable street keeps dumpsters remote from public, streetside sidewalks, or has dumpsters use compatible, attractive screening. Similarly, outdoor mechanical equipment (such as heating and air conditioning equipment) can create an unattractive, noisy ambience for a public sidewalk. Walkable streets keep this equipment on building roofs or on the side or rear of buildings so that they are remote from public sidewalks. A powerful mechanism for keeping unsightly, obtrusive equipment away from the public sidewalk is the alley behind buildings, where garbage and utilities can be inconspicuously placed. Walkable streets therefore tend to feature alleys. Active Building Fronts. Increasingly, streets are neglected and degraded by buildings that turn their back to the street. On a walkable street, the fronts of buildings face the streetside sidewalk. Having doors and ample windows facing the street creates visual interest for the pedestrian, and energizes the street by providing a view of the inside of the building and having pedestrians enter and exit the building onto the sidewalk. Doors facing the street substantially reduce pedestrian walking distances. Likewise, walkable streets feature residences with front porches, where porch occupants can interact with those on the sidewalk, and where pedestrians can enjoy seeing a home that sends a walkable, friendly character to the public realm, even when the porch is unoccupied. To be an active, interesting street, buildings along a walkable street have very little in the way of blank walls (which creates monotony and reduces security). Garages on walkable streets are recessed to avoid conveying the unpleasant message that a car, not people, lives here. Modest Turn Radii and Crossing Distances. An important way to create safety and human-scaled dimensions is to create a street which has modest turn radii at street and driveway intersections. Small “corner curves” slow down the speed of turning motor vehicles, and can substantially reduce pedestrian crossing distances. In addition to the value of small turn radii, features such as landscape islands, “bulb-outs” and landscaped (or hardscaped) street medians can provide a street with attractive features and significant safety increases for the pedestrian crossing a street. Not only does such street landscaping improve the visual appeal of a street, but they also tend to slow down motor vehicles and provide a refuge area for the crossing pedestrian. Proximity. For a street to be truly walkable, destinations from residences to places of work, school, parks, and shopping need to be in close proximity (no more than approximately one-quarter mile from homes). Note that a useful way to reduce walking distances is, when possible and appropriate, to align sidewalks diagonally. Proximity strongly promotes walking trips, which tends to increase pedestrian volumes on sidewalks, thereby creating a safer, friendlier, more enjoyable sidewalk ambience. Walkable streets also tend to contain what Ray Oldenberg calls “Third Places.” Third places are typically corner pubs, groceries, post offices or other facilities where neighborhood residents frequently run into each other and interactively chat or wave hello. They build neighborhood bonds and friendships, and their ability to act as “social condensers” promotes sociability, familiarity and trust. Short Block Lengths. Block lengths on a street must be short to create modest walking distances. Generally, a block should be no more than 500 feet in length-preferably 200 to 300 feet in length. Short block lengths are an effective way to reduce motor vehicle speeds. It is no coincidence that the most walkable cities have the shortest block lengths. Vista Termination. A powerful means of creating a memorable, picturesque street is to locate important civic buildings such as churches, city halls and libraries at the termination of a street vista. Such termination emphasizes the importance and visibility of buildings that are located in such places, which is precisely what should be done with the most important civic buildings in a community. By doing so, civic pride is cultivated, and those within the community are sent a strong message about what the community believes are the most significant institutions in the community. Vista termination also creates the impression that the walk does not seem onerously “endless,” as a goal is in sight in front of the pedestrian. As Andres Duany has said, nothing is more satisfying than a prominent civic building grandly terminating a street vista. Appropriate Businesses. Walkable streets tend to heavily regulate or prohibit the establishment of car-oriented businesses. Such businesses—because they depend on attracting large volumes of motor vehicles—are typically create visual blight, and excessively scaled for large vehicles instead of pedestrians (for example, by incorporating large parking lots between the street and building, or having an enormous building footprint that is difficult to negotiate on foot). Often, such businesses deploy glaring, flashing lighting, and can be the source of substantial levels of noise pollution. Walkable streets therefore commonly prohibit “Big Box” retail, drive-through’s, auto sales and service, stand-alone parking lots, car washes, and gas stations. By discouraging pedestrian activity, such businesses drain vitality from public sidewalks. In no particular order, here are the ten best, most influential urban design books that I have ever read. Each of these books changed the course of my life and how I view city planning and the world at large. I would strongly recommend that each of these ten books be required reading for every student, local government elected official, planner and engineer in your community. By Donald Shoup (2005). My book, “Road to Ruin,” claims the key to quality communities is driven by how we build our roads. 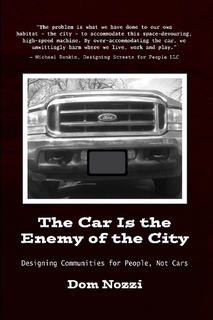 But in this groundbreaking work, the best planning book I’ve ever read in my 20 years as a city planner, Shoup persuasively shows that the excessive parking required throughout the nation is the primary factor for how our communities form, and plays a powerful role in how we travel. The parking we require new development to provide is scientifically unsound, economically irrational, counter to our community objectives, and thereby catastrophic for our cities and our quality of life. Shoup makes the pesuasive, disturbing case that how we manage our parking is the lynchpin to the future of our cities. Shoup’s book is exceptionally readable, witty and insightful. The book is thin with regard to urban design concepts, but as Shoup effectively points out, without the proper management of parking, quality urban design is not possible. By James Howard Kunstler (1996). The author combines an impressive understanding of quality urban design with hilarious, vitriolic, provocative observations about architecture in America. I have never laughed so hard in any book I have read. Or learned so much about the awful nature of buildings in the United States. Kunstler has made the point that, “what’s bad about sprawl is not its uniformity, but that it is so uniformly bad.” His other books about town-building and transportation are also worth reading: Geography of Nowhere, The Long Emergency, The City in Mind. By Steve Belmont (2002). The best case I’ve ever read about the merits of high residential densities in cities, and why such densities are essential for city health. A stupendous discussion about what ingredients are necessary for the well-being of a city. And why it is so important for a downtown to be the centralized community focus for jobs, housing and retail (instead of a polycentric city form). Excellent discussion about why the monocentric city is best for commuting. By Ray Oldenburg (1991). Oldenburg discusses the crucial importance of “The Third Place,” the place we would traditionally go to after the work day for socializing with friends and regularly finding a sense of community, the place where “everyone knows your name.” They are distinctive, informal gathering places, they make the citizen feel at home, they nourish relationships and a diversity of human contact, they help create a sense of place and community, they invoke a sense of civic pride, they provide numerous opportunities for serendipity, they promote companionship, they allow people to relax and unwind after a long day at work, they are socially binding, they encourage sociability instead of isolation, they make life more colorful, and they enrich public life and democracy. Their disappearance in our culture is unhealthy for our cities because, as Oldenburg points out, they are the bedrock of community life and all the benefits that come from such interaction. By Marvin Harris (1979). This book is about anthropology, not urban design, but it transformed how I think about human behavior, and therefore plays an essential role in my understanding why humans behave the way they do. For us to be effective in our urban design, it is necessary to know that humans behave largely due to the material conditions they face in their everyday world, and how very little behavior is due to the exhortation of ideas. By Henry Arnold (1985). This should be a regularly consulted reference book on the shelves of all urban designers. An enormous wealth of information from an arborist who learned a great many things, in a long career, about the proper placement of trees to achieve better urbanism— how proper tree placement and selection can play a powerful role in creating a better city ambience. His prescriptions, while highly accurate and vitally important for a quality city, quite often run counter to what is frequently sought after by contemporary utility companies and other municipal engineers, which helps explain why most of our cities tend to be quite awful when it comes to their trees. By Anthony Downs (1992). Another landmark book that changed how I think about transportation and city planning. In this highly readable book—required reading, by the way, for elected officials—Downs popularizes the concept of induced travel—what he calls The Triple Convergence. Why it is impossible for us to build our way out of congestion. He writes in an extremely understandable way about topics that are complex, yet crucially important—given the hundreds of billions of public dollars we spend to try to ease congestion. Once you have read the above, there are ten additional, magnificent books worth your time. The Car and the City. By Alan Durning (1996). Zoned Out. By Jonathan Levine (2005). Urban Sprawl and Public Health. By Howard Frumkin, Lawrence Frank, Richard Jackson (2004). Getting There. By Stephen B.Goddard (1994). Tomorrow’s Cities, Tomorrow’s Suburbs. By William Lucy (2006). The Transportation/Land Use Connection. By Terry Moore & Paul Thorsnes (1994). Fighting Traffic. By Peter Norton (2008). Crabgrass Frontier. By Kenneth Jackson (1985). How Cities Work. By Alex Marshall (2001). Twentieth Century Sprawl. By Owen Gutfreund (2004). The Wealth of Cities. By John Norquist (1998). Visions for a New American Dream. By Anton C. Nelessen (1994). Changing Places. By Richard Moe, Wilkie Carter Wilkie (1997). Restoring the Rule of Law & Respect for Communities in Transportation. By Steve Burrington (1996). Take Back Your Streets. By Conservation Law Foundation (1998). The Next American Metropolis. By Peter Calthorpe (1993). A Better Place to Live. By Philip Langdon (1994). Divided Highways. By Tom Lewis (1999). What are the benefits of Walkable Urbanity? A community fortunate enough to contain walkable urbanity is a community to cherish, celebrate and protect. A walkable place is lively, physically and financially healthy, fashionable, affordable, sustainable, sociable and safe. It is, in other words, a crystal clear sign of a high quality of life. Almost by definition, an attractive community is walkable and an unpleasant community is unwalkable. Walkability exists when there is convenient access. The home is so close to a park, a grocery store, a movie theatre, places of work, nightlife and civic institutions that it is an easy, short walk to nearly all of life’s daily destinations. Car ownership must be optional if a walkable lifestyle is to exist. Ironically, in the 20th Century, travel by car was seen as the most convenient form of travel. Increasingly, however, we are coming full circle and realizing that past civilizations were right. That easy, quick access by foot, not car, is the key to convenience. And, importantly, living a rich, joyful life. 1. Improve one’s health, by warding off obesity and a host of chronic illnesses. 2. Increase affordability, by substantially reducing travel costs. 3. Get to know your neighbors, because the serendipitous experience of bumping into those who live on your street frequently occurs when one walks, but nearly vanishes when one drives a car. Healthy neighborliness is a necessary ingredient if a sense of community is to be achieved. 4. Promote travel independence and travel choice, because children, a large number of seniors, the disabled, and many low-income people are unable to use a car and are unable to travel on their own when a car is mandatory. Indeed, approximately one-third of all Americans are unable to drive a car. 5. Reduce air & noise pollution, as motor vehicles are a prime source of nearly all forms of noxious discharges to our skies. Indirectly, the compactness required for walkability reduces energy consumption per capita, which effectively reduces regional air pollution. The largest source of noise in most cities comes from car travel. 6. Promote a human-scaled neighborhood, because the existence of pedestrians leverages provision of modest sizes, speeds and dimensions. Very little is more effective in creating a high quality of life. 7. Reduce stormwater & “heat island” problems, because a reduction in use of motorized vehicles results in a reduction in petroleum products being released to surface- and groundwaters, and a reduction in the amount of impervious surface that must be provided. “Heat island” problems decline because of the reduction in needed impervious surfaces. 8. Reduce injuries and deaths, because motorized vehicle travel results in tens of thousands of injuries and deaths each year. 9. Increase the feasibility for smaller, locally-owned businesses, as larger pedestrian volumes are a necessary ingredient for the establishment and survival of smaller, neighborhood-based shops and services. 10. Increase citizen surveillance, as larger numbers of pedestrians on sidewalks increases the “eyes-on-the-street” phenomenon (also known as “citizen surveillance”), which increases public safety. A walkable urbanism featuring convenient access is a powerful way for a community to attract and retain Richard Florida’s “Creative Class”, the young, smart citizens that communities depend on for a health economy and healthy overall community. “Brain Drain” is most likely to occur in placeless cities which lack the character, vibrancy, “hip-ness” and attractiveness provided inherently by a walkable community. Ironically, despite all of the talk of the need for “sustainability,” improving the local economy, and improving neighborhood quality in America today, walkability is rapidly vanishing as a lifestyle choice throughout the nation. I would add “Human Scale” to the list, although this can be considered to be implicit within the “Walkability” criterion. Properly modest building heights (no more than 5 stories, ideally), modest lot sizes, modest lot widths and building setbacks from streets and intersections, as well as modest dimensions for street widths, block lengths and intersection turning radii, are indispensable elements of urbanity (streets should also be connected, instead of cul-de-sac’d, to reduce walking distances). A crucial scaling mechanism for creating a human scale pertains to off-street parking. If such parking is in front and pushes the front of the building far back from the street or intersection, all semblance of human scale (not to mention walkable distance) is lost. Human scale sends the powerful message that a neighborhood or street is designed to welcome pedestrians rather than cars. The ambiance is one of safety, peacefulness, dignity and neighborliness. Walking is welcomed, and the character created promises that the stroll will be delightfully interesting, thereby ensuring frequent walks. BIPSM measures how many friends or acquaintances one bumps into per minute of walking on a sidewalk. A superb measure of the level of conviviality and sense of community. The Natural Resources Defense Council (Environmental Characteristics of Smart Growth Neighborhoods: An Exploratory Case Study) compares two neighborhoods in Sacramento, California with dramatically different densities, to show how density plays a profound role in creating walkability. How Many Businesses Are Within Walking Distance of Your Home? A powerful way to assess the walkability of your home location or a location you are considering moving to is to determine the number of businesses within a one-mile walk of your home. A quick and easy way comes from Alan Durning (an author who wrote the superb book, The Car & the City). With this tool, you can, within seconds, find out how many businesses you can walk to from your home. To get a count of businesses within a mile of your home (your “walkshed”), go to the Qwest online phone directory: http://www.dexonline.com/#, select the business listings, type “all” in the category field, click “near a street address,” type in your address, and choose “1 mile.” The Qwest site will rapidly list how many businesses there are within a one-mile walk of your front door, as well as their name and address. My house has 148 businesses within a one-mile walking distance. Not bad, but homes within a big city downtown are usually within a mile of several thousands of businesses. But still, the number near my home is a lot better than the suburban home I grew up in when I was a boy. That home has a score of 0. A more recent, and in some ways better, Internet method of finding out the walkability of various locations is to use the http://www.walkscore.com website. As this site points out, Walk Score helps people find walkable places to live. Walk Score calculates the walkability of an address by locating nearby stores, restaurants, schools, parks, etc. Walk Score measures how easy it is to live a car-lite lifestyle—not how pretty the area is for walking. 2. Centralization and Residential Density. Important facilities and events, such as the county farmers market, the conference center, the major movie theatre complex, the major fitness center, the main post office, major government facilities, and annual festivals must only be allowed in the central area of the city (subsidiary or duplicate facilities and events can be allowed in the periphery). Those facilities and events that are currently located in peripheral locations must be incrementally moved to central locations. Locating these facilities and events at peripheral locations substantially reduces their accessibility by a large percentage of commuter bicyclists. Such an effort is not only crucial to bicycling, but is also essential in creating a sense of community. Similarly, a city must establish higher density residential development within the central areas of the city. Doing so dramatically increases bicycling because such housing increases the convenience, safety and practicality of bicycling. Destinations such as school, retail, recreation, government facilities, jobs and culture become more proximate (more within bicycling range). 3. Traffic Calming and Road Diets. High-speed, inattentive car travel is one of the most significant reasons bicyclists feel unsafe and uncomfortable while bicycling—and why so many are discouraged from bicycling at all. Each time a street is traffic-calmed, or has travel lanes removed (road dieting), bicycling is dramatically improved and there is a significant increase in bicycling. A large percentage of streets carry car traffic that features uncomfortably and dangerously high speeds, and a number of streets can greatly benefit from travel lane removal (for example, 5- or 4-lanes to 3). Many of these diet opportunities provide a way to install an in-street bicycle lane on streets that do not have space today, and in-street bicycle lanes are, by far, preferable to off-street paths for commuter bicycle travel. Because 4-, 5-, and 6-lane streets are a primary cause of high speed car traffic and inattentive, reckless driving, it is important for a community to avoid building them, and to “diet” those that are already at that size. High-speed, inattentive driving significantly discourages bicycling in most every community. 4. Off-Street Path System. The off-street bicycle/pedestrian path system in nearly every community is either non-existent, or contains a number of path opportunities that have languished—unbuilt—for decades. The gaps in this “greenway” system must be eliminated. While completing the system will not result in a significant increase in bicycle commuting, it would dramatically increase recreational bicycling. A completed greenway system also plays the crucial role of recruiting novice bicyclists and non-bicyclists into becoming regular, confident bicyclists, because off-street paths provide a “training ground” that allows large numbers of untrained bicyclists to learn the skills and joys of bicycling in a safe, non-threatening, sociable environment. As a planner in FL for the past 20 years (where “growth management” is essentially a code word for ensuring that new development does not delay or slow down cars), I observed that “access management” was touted strongly—to the detriment of pedestrians, bicyclists, and transit users. And the overall quality of life. Detrimental because speeded up car traffic (particularly “through” traffic) is toxic to safe, comfortable, convenient walking, bicycling or transit use. Common access management tools, such as longer block lengths, funneling car trips onto fewer and therefore larger roads, and less road crossings, are obstacles for pedestrians, bicyclists or transit users. Tellingly, because we operate in the “Happy Car” paradigm, even pedestrian, bicycle and transit advocates have become advocates of access management, even though such management typically undercuts pedestrian, bicycle or transit travel. Design for motor vehicle transportation is a zero-sum game. Almost inevitably, when conditions for cars are “improved” (“speeded up,” “made more efficient,”, etc. ), conditions for all other forms of travel (bike, pedestrian, transit) are degraded. An enormous part of our problem here is what economists call “The Barrier Effect,” which is a principle stating that certain things create barriers to the use of something else. In this case, the Barrier Effect is caused by cars. Single-mindedly designing our transportation system for cars creates substantial barriers for those wishing to use transit, walk or bicycle. Who in their right mind, for example, would feel safe bicycling on a six-lane road? In other words, whenever we modify a road to create “efficient” or “free-flowing” or “less congested” roads (usually by widening the road or adding turn lanes), the Barrier Effect means that we are simultaneously and unintentionally making it harder to walk, bicycle or use transit. A classic “zero-sum” game where, when cars win, all other forms of travel lose. It means that road “improvements” for cars recruits even more motorists who were formerly walking, bicycling or using transit. A self-perpetuating vicious cycle of unintended consequences. One where spending millions of dollars of our tax money on road widenings makes us our own worst enemy. One must know if the design is to be applied in suburban/drivable locations, or urban/walkable locations. If the former, conventional access management tactics tend to be appropriate, as the imperative is to minimize car travel delays and maximize car speeds. However, in urban/walkable/compact/mixed-use locations, the pedestrian is the design imperative. In such locations, it is therefore essential that slow-speed (and “attentive motorist”) design be emphasized to maximize pedestrian comfort and safety. Access management tends to undercut such a design objective, because motorists can drive faster and less attentively when access management is successful. A quality pedestrian environment must include relatively short block lengths, as well as mid-block crossings and cross-access within blocks. Again, access management tends to undercut these essential design tactics in walkable locations. Speaking as a bicycle commuter, I tend to find a reduction in driveways (another common access management tool) to be an inconvenience for bicycling. I understand the safety problems associated with too many driveways, but we shouldn’t forget unintended consequences. When the words “safety” and “efficient” and “mobility” are used in the field of transportation, such words tend to be euphemisms for higher speed, unimpeded car travel. And the last thing a healthy, low-speed, pedestrian-friendly downtown needs is faster, unimpeded, through car travel. Higher speed (“efficient”) car travel in a downtown (not to mention excessive, under-priced off-street parking) drains the lifeblood out of a downtown. Again, be careful about where various designs are applied. Avoid “one-size-fits-all” solutions. What is beneficial for higher-speed suburbia is almost always detrimental to lower-speed walkable downtowns, where transportation choice must be emphasized. Be sure you are context-sensitive—that you are applying the right design tools to the appropriate locations of the community. A solution to this dilemma, then, is to establish zones in your community. In your suburban (drivable) zone, conventional access management tactics can be employed appropriately. In your more compact, urbanized, higher-density (walkable) zone, access management tools should be avoided. The walkable zone (or zones, if the community intends to create additional walkable locations other than in its downtown) should be exempted from access management. More appropriate tools, such as short block lengths, connected streets, mid-block crossings, on-street parking, cross-access within blocks, and narrow streets, should be employed. Unlike in the suburbs, in the walkable zone it is desirable to slow car traffic and obligate motorist attentiveness. One-size-fits-all, when applied to such strategies as access management, is detrimental to the diversity of lifestyles and transportation choices found in healthy cities. Let the suburb be a suburb. But let the city be a city. Should We Subsidize Parking for Low-Income Households? Subsidizing parking for low-income people is a mistake, in my opinion. There is no easy way for a city to subsidize only low-income motorist parking. All motorists will be able to take advantage of this detrimental, market-distorting welfare. Not just the low-income. As a result, the city would be subsidizing and therefore artificially inflating the number of people who travel and park by car. Without such a subsidy, those who have a choice would be given a financial incentive to walk, bicycle, carpool or use transit. In effect, then, the parking subsidy promotes an increase in Single Occupancy Vehicle (SOV) travel. In a compact, walkable downtown, when parking is properly priced to reflect actual costs, travelers are given a market signal to engage in non-SOV travel. Subsidized downtown parking is toxic for the long-term health of a downtown, because the suburbs will always out-compete downtown when it comes to motorist convenience, and because “happy cars” downtown degrade the walkable quality of life in downtown—which the downtown needs to be able to leverage. In addition, given skyrocketing gas costs (which we will experience for the foreseeable future), why would a city be promoting more auto dependence by subsidizing it? Shouldn’t a city be promoting more sustainable, affordable forms of transportation? Similarly, auto transportation is an enormous and growing part of the low-income household budget (typically outweighing housing cost savings that are often found for housing in the suburbs). One hundred years ago, the average household spent about two percent of its budget on transportation. Today, the average household spends 22 percent of its budget on travel, and this percentage is growing. If a city is truly interested in helping low-income households, promoting auto travel by subsidizing parking is the last thing it should do. Cities sincerely interested in helping low-income households should know that a much more sustainable and affordable strategy is to subsidize transit-friendly or walkable downtown housing. Subsidized parking simply perpetuates an unaffordable, unsustainable household expense. The emergence of the car in the 20th Century led to a downward spiral for downtowns of most American cities. Retail, cultural, civic and employment began decanting outward to the suburbs. For the first time in history, the car had made close proximity of home, work, school and retail unnecessary. Downtown property owners and retailers scrambled to find ways to reverse the flight from the downtown. By the 1930s, many decided, understandably, that the solution was crystal clear. People were no longer going downtown because they couldn’t get there (conveniently, at least) with their cars. The obvious remedy was to build highways and parking lots so that people could conveniently drive downtown and park. The sheer number of dying downtowns in America today stand as a testament to the ruinous consequences of this approach. Cars are the enemy of the city because there are fundamental, irreconcilable, clashing needs of the car habitat in contrast to the needs of habitat for people. And a city downtown must be designed as a people habitat. The ideal habitat for cars is a downtown that is almost entirely composed of parking lots, highway overpasses and a few scattered, one-story buildings. But what is left of such a downtown for people? People feel unsafe standing next to roads with high-speed traffic. They feel inconvenienced and uncomfortable walking in large asphalt parking lots. Because they take up so much room, cars need lots of space. People, on the other hand, prefer modest, human-scaled spaces. People, unlike cars, enjoy the enclosed, “outdoor room” feeling created by buildings close to the public sidewalk, and are convenienced when homes are close to offices and retail. A community is most productive and creative when residential and commercial densities are relatively high. And most of us enjoy being sociable and neighborly; strolling on a sidewalk filled with other people. We naively comfort ourselves when we conclude that we can create, in our downtowns, a quality car habitat and people habitat in the same space. As the countless number of ghost-like downtowns shows, the problem for American downtowns is not that people avoid downtown today because they can’t get there. Most people don’t come downtown anymore because they don’t want to get there. Increasingly, our downtowns have become places that only a Chrysler could love. We have become our own worst enemy. In our blind pursuit of accommodating cars downtown, we have failed to realize that we have destroyed the reasons for going there. The human habitat is nearly always degraded when we improve the car habitat. Improving conditions for our Chevy’s almost assuredly harms conditions for Aunt Gertrude, office worker Fred and little Bobby. In nearly all struggling downtowns, what is most needed to attract people is to provide more attractions, not places to park in order to reach the attractions. We need to dedicate ourselves to densifying and intensifying our downtowns if they are to be more healthy. The annual art festival. The yearly parade. The big sporting event. Walkable, exciting cities such as Charleston, Savannah and Portland draw thousands and millions of visitors each year, even though the amount of free parking in such cities is extremely limited. Visitors are so eager to visit such wonderful places that they are willing to put up with expensive, scarce parking. And who among us is unaware of dying downtowns that have plenty of free parking but don’t have any sort of critical mass of activities that would attract people? Places such as Houston, Detroit, Buffalo or Jacksonville? Granted, we must be careful to strike the proper balance when it comes to improving our downtown. Clearly, there is a need for downtown parking. But almost always, American downtowns need more attractions, buildings and activities than more parking. Often, downtowns considered to have “insufficient” parking actually have too much surface parking—particularly too much free parking. We need not prohibit cars from downtowns. We simply need to design our downtowns so that cars behave themselves; so that the needs of people come first. Downtown can never out-compete the suburbs on suburban, car-based terms. Suburbs will always be able to provide more parking and wider highways more cheaply. Downtown can only compete where it can have competitive leverage. That is, by being compact, walkable, romantic, unique, rich in history and human-scaled. Ground-level parking lots create an obnoxious, deadening tear in the fabric of downtown that destroys the vibrancy it so desperately needs to be attractive, alive and exciting. We need to return to the tradition, in our downtowns, of making people the design imperative, instead of cars. 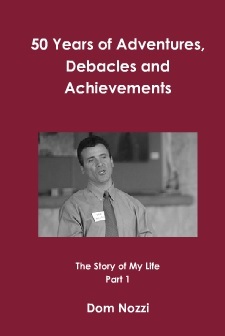 A version of this essay was published in the Gainesville Sun on May 18, 2008. Until the advent of the auto age about 100 years ago, the imperative for developers was to make people happy. This tradition led to design that was pedestrian-oriented, human-scaled, compact and ornamental. Since that time, however, the focus has changed. Development is now oriented toward making cars, not people, happy. Because car-based design nearly always creates barriers for other types of travel, it creates a growing, self-perpetuating vicious cycle. After decades of using this car-oriented model, we now find that it is nearly impossible to go anywhere without a car. Yet the terrible tragedy is this: Cars and people have vastly different needs. Cars require wide, high-speed highways and enormous parking lots (preferably in front of buildings). When not in cars, people are repelled by such design. But because of our dependence on cars, almost all of us are compelled to become our own worst enemies, calling for development that makes car travel easier. Unintentionally, then, our quality of life is in a downward spiral of our own making, as the car-oriented world we’ve advocated has created an increasingly unpleasant community. As we expand our communities for cars, the world for people shrinks. Downtown Richmond, like downtowns across America, has suffered from this problem. After working as a senior city planner in Florida for 20 years, I recently relocated to Richmond and was immediately struck by what has happened to downtown. Vast amounts of downtown now consist of deadening, sterilizing off-street surface parking, and massive, high-speed highways. To be healthy, a downtown needs to build on its competitive strengths: compact, walkable, charming, romantic design. A crucial aspect of this is leveraging “agglomeration economies.” That is, a healthy downtown benefits from a compact concentration of offices, retail, civic buildings and residences. Yet our single-minded efforts to facilitate our cars is a powerful dispersant. Offices, shops, government buildings and homes scatter to outlying areas, leaving an abandoned, scary, unhealthy downtown. Designing for cars, in other words, drains the lifeblood out of a city. Because a person in a car consumes 19 times as much space as a person in a chair, cars devour an enormous amount of space, which subverts the walkable compactness that downtown needs. The resulting “gigantism” (huge parking lots, monster highways, endless sprawl) has undercut the livability of downtown Richmond. The key for a revitalized downtown is to return to the timeless tradition that was abandoned a century ago. Richmond is therefore fortunate to have hired Dover, Kohl and Partners to prepare an update to its downtown master plan. This firm is nationally celebrated for skillfully restoring this compact, walkable tradition. Dover Kohl’s plan for downtown Richmond contains essential recommendations: Convert most one-way streets to two-way operation. Reduce the stifling dominance of off-street surface parking. Emphasize buildings and density that activate the streets and sidewalks. Small (and slow) is beautiful. Downtown Richmond is rich in history and should leverage that asset by retaining and celebrating its ornamental, historic buildings. City officials also should consider restoring some of its cobblestone and brick streets — an excellent way to induce civic pride. In my work, I have come to learn that quality of life is a powerful economic engine. Downtown Richmond should take advantage of this by returning to the tradition of designing for people, not cars. The Dover Kohl Downtown Master Plan is an excellent place to start. A version of this essay was published in the Virginia Business Magazine on April 1, 2008. For several decades now, Americans have employed a very curious way of “solving” the problem of a congested road or an overflowing parking lot. In nearly all cases, the “cure” for this “problem” is to provide more capacity: more travel lanes (widening a road), more turn lanes, and more parking spaces. It seems like such a commonsense solution, doesn’t it? Why, then, do these widenings, turn lanes, and parking lot expansions never seem to ease the congestion problem for more than a short period of time? The problem, as any first-year economics student can tell us, is one of supply and demand. Too much demand and not enough supply. From an economics point of view, supplying more of something that is free to use (or underpriced), and in great demand, is an extremely inefficient, ineffective way to eliminate scarcity. The Soviets tried this method with their form of socialist economics, and it was a spectacular failure. Take, for example, a hypothetical seafood restaurant. Our restaurant generously decides it will provide a fabulous fresh lobster dinner for free. Naturally, folks in the community flock to the restaurant in overwhelmingly large numbers to take advantage of this restaurant offer. Soon, of course, all of the tables are taken up by this hungry horde as they race to the restaurant for a meal. In less than a few hours, the restaurant is unable to seat any more patrons because there are no available tables. Indeed, raging fights are breaking out at the restaurant front door as people try to squeeze in. Let’s assume that the restaurant then decides to correct this problem by providing more tables and installing more doors. In a short period of time, though, the restaurant learns that the tables are filled again and people are still trying to squeeze through what are now four doors. Most of us recognize that it would be the height of foolishness for this restaurant to try to “solve” this overflow problem by providing more tables and installing more restaurant doors. No, as anyone can see, the obvious solution is to start charging people what they are willing to pay for the dinner. If this is such a clear solution, why do we not apply it to roads and parking lots? After all, roads and parking lots are in great demand, yet they are nearly always free to use (or underpriced). Why have we insisted, for the past several decades, that we provide the equivalent of more tables and doors to ease congested roads and parking lots? Why do we insist on applying Soviet-styled economic principles to our transportation system—and expect a different result from what the Soviets experienced? Isn’t it time for us to start applying free-market, capitalist principles to our roads and parking lots? Isn’t it time for us to realize that by ending the unsustainable, bankrupting subsidies for car travel, political pressure will become sufficient to obligate a substantial growth in community design that enables transportation choices? Not only will proper transportation pricing make it more practical and pleasant to travel by transit, bicycling, and walking; there will also be an enormous growth in demand for more compact, in-town residential and commercial development, rather than sprawl. The “user fees” I recommend are much more avoidable, affordable, and equitable than the ever-increasing taxes we all complain about. Properly priced user fees can be opted for instead of unaffordable road widenings, and can rein in tax increases, provide sufficient dollars for badly needed transportation facility maintenance, increase fairness, and restore the fiscal health of local and state government. A version of this essay was published by the Richmond Times-Dispatch on April 12, 2008.